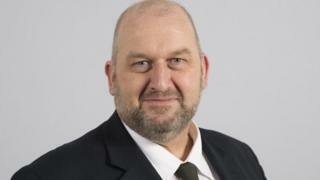 An inquiry will be held into how Wales' first minister handled Carl Sargeant's sacking, days before he was found dead. Carwyn Jones ordered the inquiry into his actions amid mounting pressure, and shortly after Mr Sargeant's family said a probe should start "immediately". The former communities secretary was being investigated by the Labour party over claims of "unwanted attention, inappropriate touching or groping". He is understood to have taken his own life on Tuesday. The Welsh Government said the inquiry would be independent but this was disputed by Mr Sargeant's family, who criticised the announcement. Mr Jones had faced criticism for suggesting on Thursday that an inquiry should only be held if it was not possible for the AM's family to get answers through an inquest. His decision to hold an inquiry followed pressure from two north east Wales Labour MPs, Mark Tami and Ian Lucas, former local government minister Leighton Andrews and opposition parties. A spokesman for the first minister said Mr Jones believes a senior QC should lead the probe to examine his "actions and decisions". Permanent secretary Shan Morgan, the Welsh Government's most senior civil servant, is to contact the family to discuss who the senior QC will be and the inquiry's terms of reference. However, a statement from Mr Sargeant's family said the permanent secretary reports directly to the first minister and "is therefore not independent", adding they would prefer a senior civil servant from Whitehall. "We believe that a truly independent body must also be responsible for agreeing the terms of reference and appointing the chair and secretariat for the inquiry," the family said. The Welsh Government would not respond to the family's statement but a spokeswoman said: "The impartiality of the civil service is a given." Carwyn Jones is certainly a man being led by events. The fact that he failed yesterday to address any of the serious questions that have been raised over the past few days has only increased the pressure on him. He clearly felt it was inappropriate to do so so close to the death with so many people still grieving for Mr Sargeant. But the fact that Mr Sargeant's family and friends want answers, and more and more of them have been saying so publicly today, meant Mr Jones did not really have much choice but to announce the inquiry. The first minister will certainly be hoping this will take at least some of the pressure away after a phenomenally intense week for him and his government. Mr Jones had been criticised for how allegations against Mr Sargeant, who was AM for Alyn and Deeside and had been suspended from the Labour party, were handled. He was dismissed from his job as communities secretary on Friday 3 November and suspended by the Labour Party but said he had not been made aware of the full details of the allegations. Bernie Attridge, deputy leader of Flintshire council and a lifelong friend of Mr Sargeant, called the announcement a "major U-turn by Carwyn Jones, of which I welcome". "But I still feel, that now an independent inquiry has been set up, that he should step aside," he added. Mr Andrews welcomed the announcement, saying: "I am glad an independent inquiry is to address the multiple questions that remain." Mr Lucas also welcomed the inquiry, as did Cardiff Central AM Jenny Rathbone. 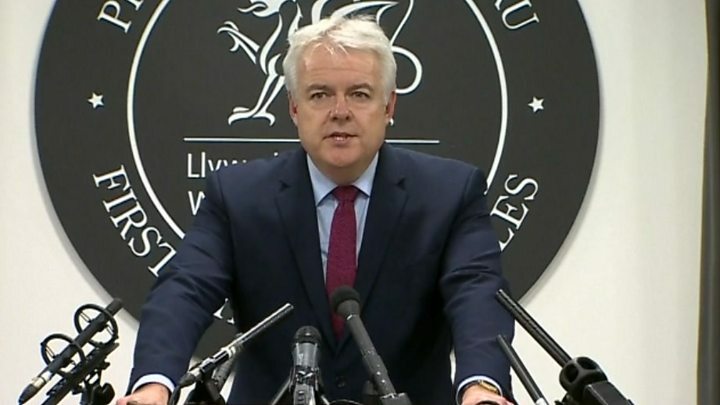 Welsh Conservative leader Andrew RT Davies said he was "grateful" for the announcement but said it was "regrettable" that it was not made in Thursday's statement. 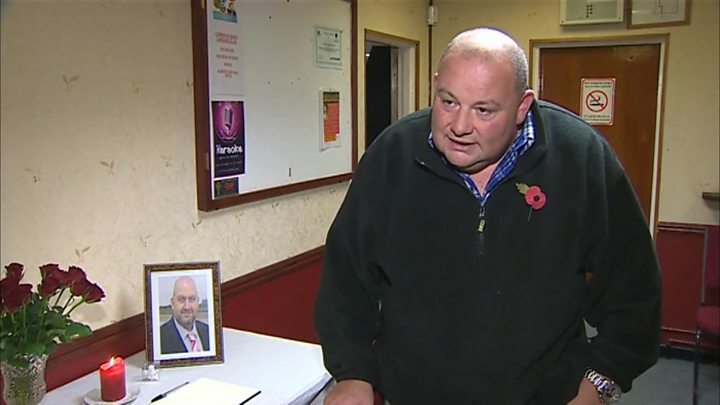 "We need the answers to the questions that have rightly been asked of how a 49-year-old man felt so, so down at the beginning of this week that the only way out [was] that he could take his own life", Mr Davies told BBC Radio Wales. Mr Davies has also asked for an investigation into allegations made by Mr Andrews of a bullying culture in Welsh Government. The first minister previously said he would be open to scrutiny over how he sacked Mr Sargeant from his Welsh Government cabinet job. Mr Sargeant had vowed to clear his name but following his death, his family claimed he did not receive "natural justice". The inquest into his death is due to open and adjourn on Monday. The first minister's spokesman added: "It is our understanding that such an inquiry should not take place before the outcome of a coroner's inquest - but we will take further advice on this matter." The announcement was released minutes after a solicitor for the family said they were "deeply" concerned the first minister suggested that the answers the family seek should be dealt with in a coroner's inquest. "What a coroner's inquest cannot determine or appear to be determining is the civil or criminal liability," the statement read. It added that an inquiry would determine the "reasons for the complete abdication of responsibility and duty of care that was owed to Carl". When did Jones know claims?